Welcome to Washington state, home to 7 million people and the best economy in the nation. As you flew in, I’m sure you noticed the unparalleled natural beauty that greets our visitors, from vast fields of abundant agriculture and the majestic Cascade mountain range to the shimmering waters of our Puget Sound and the busy waterways of our world-class ports. 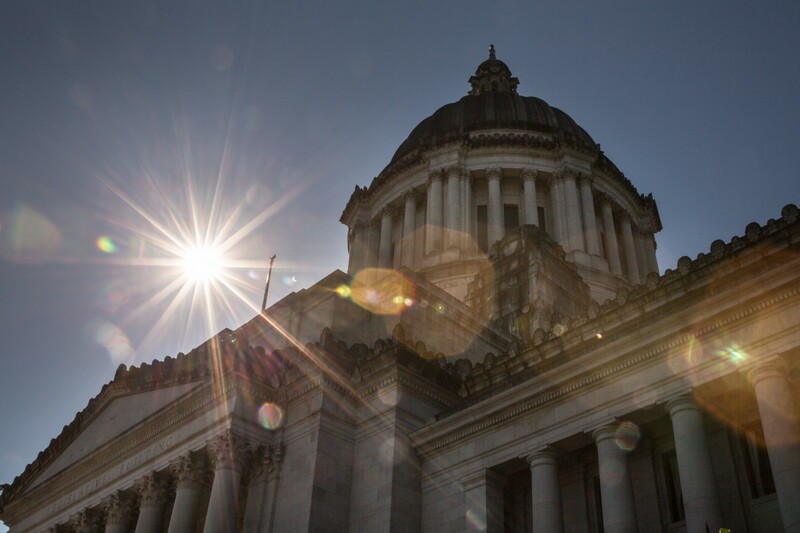 While Washington is often thought of as a “blue state,” the reality is that our state is made up of people from all walks of life and myriad political orientations. Our legislature is divided, and with that comes robust, passionate — and sometimes strained — debate. Compromise is a necessity and progress is often incremental. But our state is a place where leaders are often able to set aside ideology for the sake of the greater good. Here, bipartisanship has yielded tremendous results: passage of our state Dream Act, Medicaid expansion, a historic transportation investment package, clean energy innovation, unprecedented investments in education from early learning through college, and a best in the nation paid family leave program. I’ve worked in politics a long time, Mr. Speaker, and I know it isn’t always pleasant or easy. There’s a certain level of cynicism that is par for the course. Yet what we’re witnessing in D.C. right now is beyond the norm. The Administration’s nativist rhetoric and political kowtowing to radicals is fueling an alarming level of divisiveness that extends far beyond the marble walls of Congress, into the dining rooms of our homes. Elected leaders in Washington, D.C. have left the American people frustrated and anxious at best, and violently angry at worst. Something has to change. You have the power to help bring about that change. As the most powerful member of one of three co-equal branches of our federal government, you have the power to speak forcefully against the president’s hateful rhetoric. People are hungry for solutions to the problems they face every day. For many people, all they have time and energy for are the immediate day-to-day challenges of securing a good job with decent benefits, feeding their family, obtaining affordable health care, and finding a safe and affordable place to live. Too few feel a sense of economic security. Meanwhile, we see zero interest from D.C. in confronting other urgent challenges such as climate change, persistent racial inequities in our justice system, and much-needed infrastructure improvements to ensure safe and healthy communities and efficient and reliable transportation systems. As governor, I have grappled with these same challenges in a divided political arena. Our experience in Washington state is evidence that common ground is possible. To that end, here are four key values embraced by the people of my state that I hope you take back to your colleagues in D.C.
1. Innovation, intellectual curiosity and science are foundational to maintaining our competitive edge. Washington is home to some of the world’s leading research and development organizations and businesses that are breaking barriers in everything from advanced agriculture and aerospace to life sciences and clean energy. We love science. We use facts and data to increase our understanding of the problems we face and how to fix them. Whether it’s finding a cure for cancer, developing drought-resistant crops, or defeating climate change, science and innovation are our strongest allies for growing our economy and improving our quality of life. 2. Protecting the environment goes hand in hand with healthy people and a healthy economy. Speaking of science, it’s pretty clear: our planet is in peril, and the consequences of inadequate climate action will cost lives. My state has seen the impacts of a warming climate and ocean acidification in our shellfish industry, increasingly severe drought and wildfire seasons, warming streams and rivers, and rising sea level. Congress is unwilling to act on climate and the president has reneged on our nation’s commitment to doing our part. Politically, morally and economically, Congress and the White House are on the wrong side of this issue. Fortunately, states like mine are ready to take this on. We know that climate action is essential to protecting the health of our children and our state’s quality of life, and that it allows us to seize the mantle of economic leadership that comes with developing the clean energy technologies of the future. 4. Diversity is a strength. This is an issue our nation has struggled with. We have learned hard lessons in our short history, including in my state where we were complicit in the despicable internment of Japanese-Americans during World War II. We saw how fear takes us backwards. But we have also been a beacon of light and inclusion, like in 1975, when our Republican governor welcomed 500 Vietnamese refugees fleeing war. We saw that hope and compassion makes us stronger and more resilient, together. Today Washington is home to nearly 70,000 Vietnamese who have contributed positively to our state’s economy and culture. We’re also home to 17,000 Dreamers, aspiring and inspiring young people who have so much to offer as they strive to become doctors, small business owners and teachers. Imagine the fear they grapple with as members of your party seek to repeal their protections under the Deferred Action for Childhood Arrivals (DACA) program, and send them back to countries as foreign to them as they would be to any other American. Washington is able to recruit and attract talented, skilled people from all around the world because we are a place that welcomes them, regardless of their country of origin, their religion, the color of their skin, sexual orientation or gender identification. This is a divisive time in our nation. Women, the LGBTQ community, people with disabilities, Dreamers, refugees, people of color and so many others have been the target of disparaging attacks from the man in our White House and some in your caucus. How did we get here? And how will you help us change course? Washington state will continue to stay its course. Our state is one that embraces a culture of compassion, invests in the health and economic security of our workers and families, aggressively protects our air and water, and reaps the benefits in the form of an incredibly robust economy. Your visit to Everett comes on the heels of a frightening week in our country, with nationalist, racist and neo-Nazi forces emboldened by the president’s weak response to the violence in Charlottesville. This is a historic time with no room for moral ambiguity. Something has to change. And you have the power to bring about that change. I hope Washington State will inspire you to do so.